With its many uses and applications, dry ice has found a home in various commercial and residential spaces. With its many uses and applications, dry ice has found a home in various commercial and residential spaces. However, it’s important to know the fundamentals of handling dry ice safely, especially when used around children. Remember these key procedures when working with dry ice. -109 to -78 degrees, it’s clear to see why contacting dry ice will cause injury. Wear leather gloves, oven mitts, towels, and tongs to handle the dry ice. Remember to move slowly and carefully as you work with the dry ice. 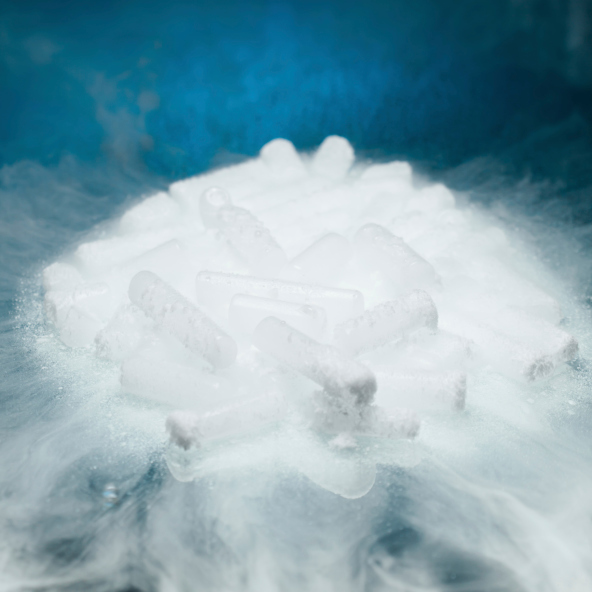 To store dry ice and maintain its temperature, use an insulated container with thick insulation. Be careful to stay away from air tight containers because carbon dioxide will cause the container to expand and possibly explode. Proper ventilation is key to safe storage. While it would be a great way to keep your frozen food cold in the event of a power outage, storing dry ice in a working freezer will cause the thermostat to turn it off. When transporting dry ice, be sure to carry it in an insulated container. Watch that no exposed skin will make contact with the dry ice as you pick it up and move it to the next location. If you plan to travel more than 15 minutes, ensure that adequate airflow will reach the dry ice. Play best gun game at gun games gungamesz.com website. As previously mentioned, dry ice should have adequate ventilation at all times. If it has been stored in a closed off space for more than 15 minutes, provide some access to airflow to avoid the sublimation of carbon dioxide gas. Be careful not to enter areas where dry ice has been stored without allowing adequate airflow into the space first. In the event that dry ice does make contact with the skin, treat it as you would with burns caused by hot surfaces or open flames. In more severe cases where the skin comes off or blisters, see a doctor as soon as possible. Use an antibiotic ointment to promote healing and cover with a bandage. This entry was posted on Friday, November 17th, 2017	at 12:45 PM	and is filed under Dry Ice Safety, Many Uses of Dry Ice, Shipping with Dry Ice	. You can follow any responses to this entry through the RSS 2.0	feed. Both comments and pings are currently closed.